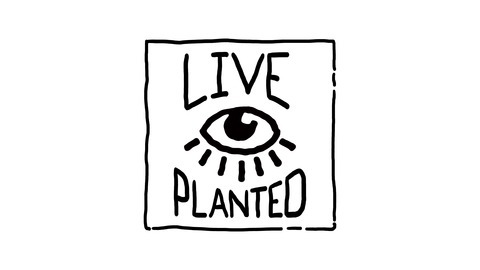 Live Planted is a weekly Podcast about living a practical vegan lifestyle. Alyssa, the show's host, is a Midwestern girl who felt the need to create a space based on living a plant based life in the easiest way possible. The show goes into health, wellness, activism, environmentalism, cruelty free practices, sustainability, animal rights, and how to make it all work while living a 'regular' life. Live Planted aims to inspire and educate listeners by letting you in on a little secret: I don't have it all figured out either, but here are some things I've learned along the way. During the show I talk with awesome guests, like former Mtv VJ Lauren Toyota, Cara Livermore of Chickpea Magazine, and Hannah Howlett of 'High Carb Hannah' Youtube fame. The show has hosted vegan artists, tiny house builders, bakers, professional vegan athletes, plant based recipe creators, movie directors, health coaches, dads, and many more. Part of the show is spent breaking down topics like 'soy: good or bad? ', 'the realities of fish’, or 'how to travel while vegan'. There'll be ways to go vegan at your own pace, and ways to stay vegan for the long term. Join me in this pursuit to connect with like minded people. 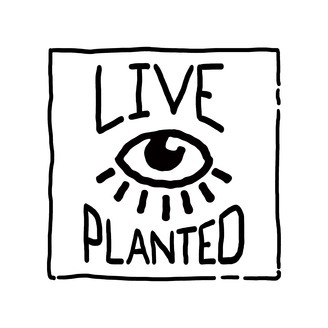 You can find the full show notes and more at LivePlanted.com. #150 What Does Healthy Really Mean? There's a weird thing happening on the internet, the word healthy has been redefined into something new, something almost unattainable, something #goals. Today I want to, in true Live Planted form, define healthy in practical, logical, terms and bring it back to reality. Especially as more popular vegans are quitting saying they don't 'feel healthy', this is the perfect time to talk about what healthy really means and how does it fit into your life. I'd love to hear your thoughts after listening to the episode. How do you define healthy? Tell me over on instagram. ▶ Instagram: www.instagram.com/liveplanted/ Find a complete list of everything MENTIONED on the show: http://liveplanted.com/?p=2867 LP MERCH: www.etsy.com/shop/LivePlanted?r?=l2-shop-info-name ✮Write a review & subscribe in iTunes (preferably a 5✮!) The more reviews, the greater chance someone else will hear the podcast. Or share the podcast with a friend.